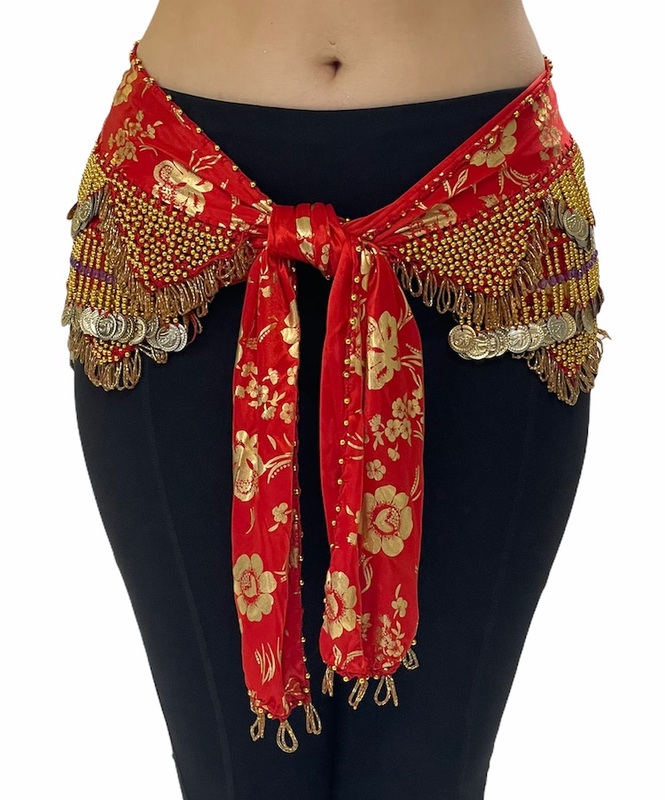 These gorgeous satiny hipscarves are hand-cut, then beaded and sewn in Cairo, Egypt. 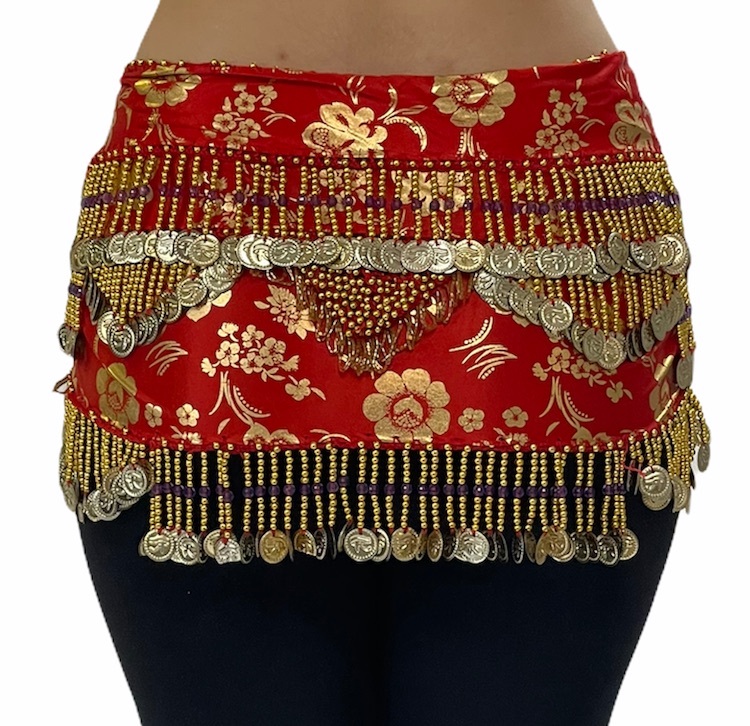 Decorated with a shiny metallic floral pattern, and completed with beads and coins that add a perfect weight and sound to your shimmies. 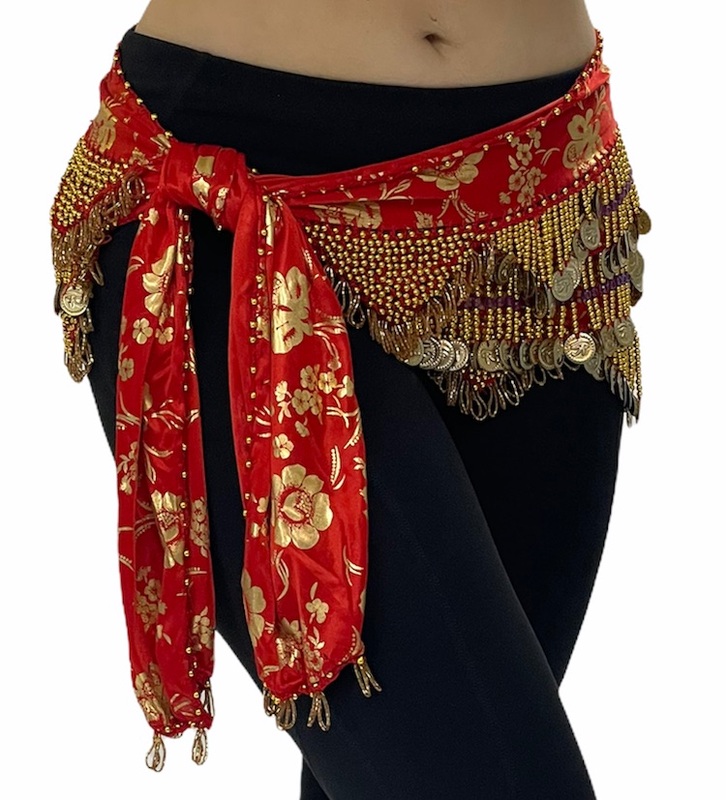 Each hip scarf is hand cut, beaded and crocheted and will vary slightly in size, bead coloring, and crochet patterns.